Dozens of Syrians marched toward the frontier with the Israel-occupied Golan Heights on Tuesday fleeing the Syrian government offensive in southwestern Syria. 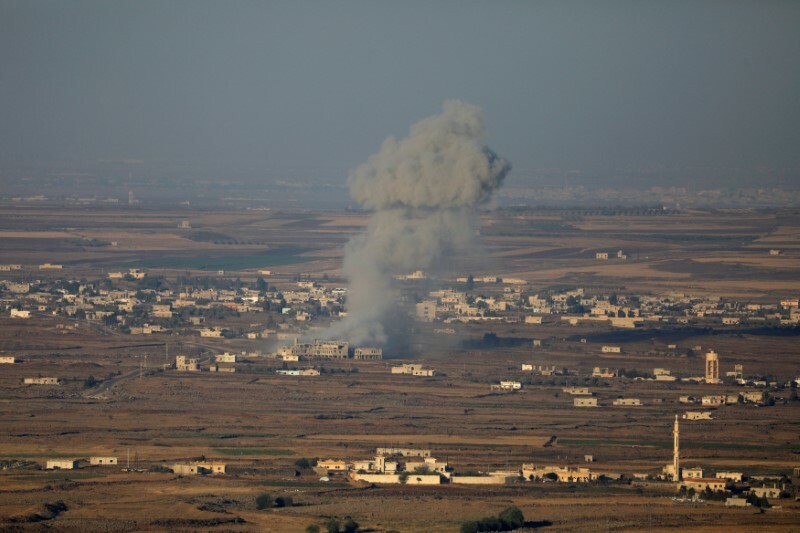 "Six civilians including two women and three children were killed in air strikes near Ain al-Tina" on Quneitra's border with Daraa province, the Syrian Observatory for Human Rights said. The regime now controls Daraa and its eastern outskirts, while its forces have been deployed along most of Syria's border with Jordan, in line with an earlier agreement between Russian Federation and Syrian armed opposition groups. "Bombardments have also hit areas in (neighboring) Daraa province". After securing Damascus and outlying areas of the capital, President Bashar al-Assad's forces on 19 June launched an offensive against Daraa, with support from Russian Federation. He also said that Syrian rebels and their relatives began evacuating Deraa on Sunday. The transfers were part of a ceasefire deal brokered by government ally Russian Federation, and came after more than two weeks of ferocious bombardment of Daraa city and the surrounding province of the same name. The government's push came after it had secured control of most of Daraa province in an offensive that began in June. The pro-Syrian government Central Military Media said a number of insurgents were killed in the clashes. The so-called "reconciliation" deal for Deraa city is the latest in a string of such agreements the regime has used to retake large parts of the country. A large humanitarian aid operation to government-held areas of southwest Syria began this week, after the United Nations on Monday said the government had asked it to begin deliveries. Sixteen trucks carrying 3,000 food parcels reached the towns of Nassib and Um Al Mayathen in Deraa province near a border crossing with Jordan, the Red Crescent said in a statement. The government is now in control of more than four-fifth of that province's territory, the monitor said. Syrian regime forces on Monday announced the capture of the southern city of Daraa before advancing westward towards the border with the Israeli-occupied Golan Heights region. Spurred on by Russia's entry into Syria's civil war in 2015, Assad's regime now controls 61 percent of the country's territory, according to the Observatory.